We will be hosting our annual Easter Bunny Hunt, with bunnies hidden throughout the venue and on the 28 climbing challenges. All participants will receive a chocolate egg. Feeling determined? 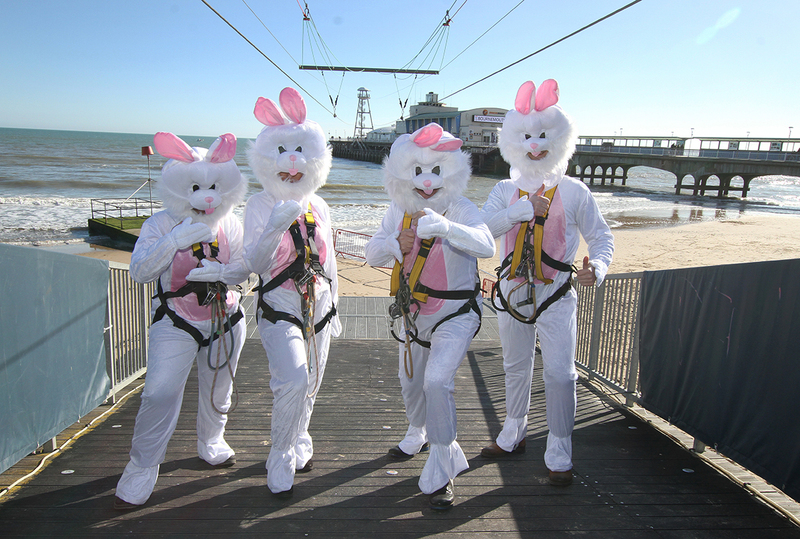 Find all the bunnies and be in with a chance of winning a family ticket to RockReef or the PierZip! The RockReef Café will be producing delicious, mouth-watering, limited-edition Crème Egg and Mini Egg waffles, along with mini egg hot chocolate drinks. Family Easter activities will run every day throughout the holidays, from Friday 30th March until Sunday 15th April, 10am until 7pm. Plus if you book ahead you can avoid the Pier Toll charge! We’re extending our opening hours so you can have more fun! Be sure to pre-book activities to get FREE pier toll access. Just show your email confirmation to the staff member in the toll booth.